Non-wood forest products: This is a growing category that includes all forest products that are not wood, such as fruits, cacao, nuts, feed for animals, essential oils, etc. These four markets are shown in the infographic. Also, new markets are developing rapidly for the many services that restored landscapes provide, such as carbon storage and improved water quality. 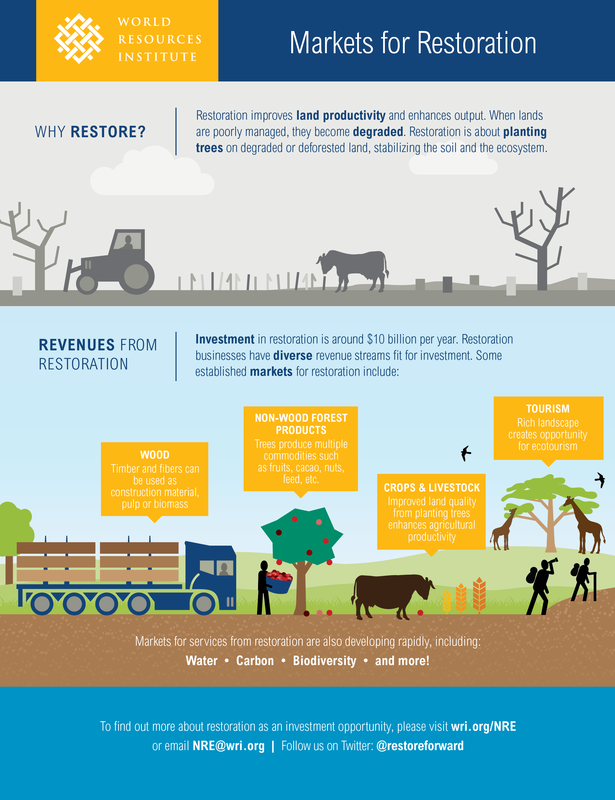 To learn more about why restoration is an attractive investment opportunity, please contact the New Restoration Economy at NRE@wri.org .